Operations and Training – Franchise systems give new pizza store operators extensive operational support and training. Many pizza shop owners are first time entrepreneurs who have never been in the pizza business before, for them, the up-front training and methods of doing business are invaluable. Marketing and Advertising – Franchise chains give new pizza shop operators an array of marketing and advertising methods to keep the phone ringing. Many franchise systems will help franchisees manage their marketing budget and will develop ad programs that combine franchisor marketing knowledge with franchisee buying power. Supply Chain and Purchasing Power – Franchise systems give new pizza store operators a supply chain of quality food to order from reputable vendors. Good franchisors will vet every supplier and every product before it goes into their stores. Support and Coaching – Franchise chains give new pizza shop operators ongoing support and coaching. The franchisor functions as the ‘sounding board’ that so many entrepreneurs often wish they had. Real Estate and Construction – Franchisors will help franchisees locate good sites for new pizza stores and assist with construction management and equipment purchasing. No Menu Creativity – Franchising does not lend itself to entrepreneurial creativity. One of the reasons you should buy a franchise is because the system is proven – for a pizza shop this means no menu creativity for the store operator. Make sure you love the food product as it is today because there will be no changing it once you buy the franchise. Legal Documents – Buying a franchise involves some serious legal paperwork. Be prepared to have an attorney review the franchise contracts. Costs – Franchises always have an initial franchise fee and an on-going royalty. These costs are the way that the franchisor can afford to provide the Pros listed above to you the franchisee. Do the math, do the costs justify the benefits? Market Saturation – Not every franchisor has available territory where you’d like to open a pizza store. What is more important to you in your franchise investment decision – the location or the franchise you select? Is investing in a pizza franchise the right decision for you? Do the Pros outweigh the Cons? The answer is different for everyone. 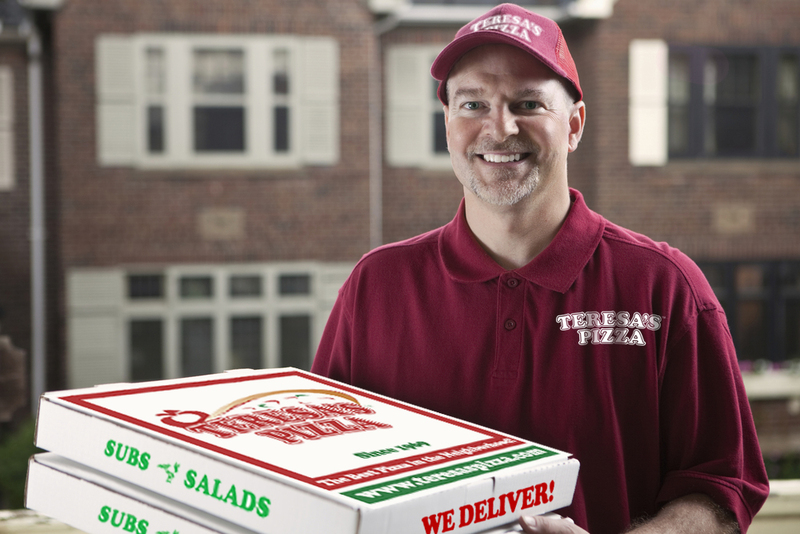 If you’d like to learn more about our Pizza Franchise contact us today and we’ll find out if there is a good fit for you here at Teresa’s Pizza.